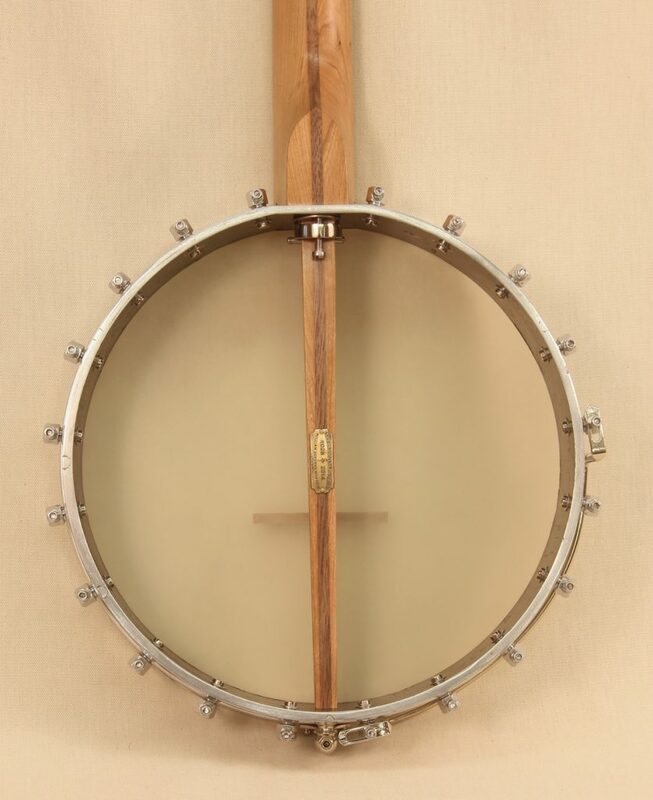 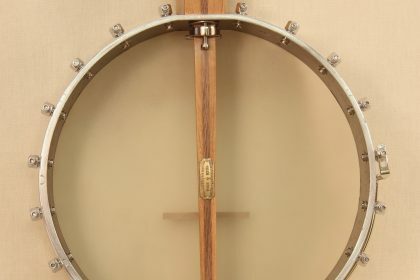 This custom banjo was designed around an old aluminum rim that was originally found in a 70’s or 80’s factory made Japanese banjo like the rim from Seeders #019. 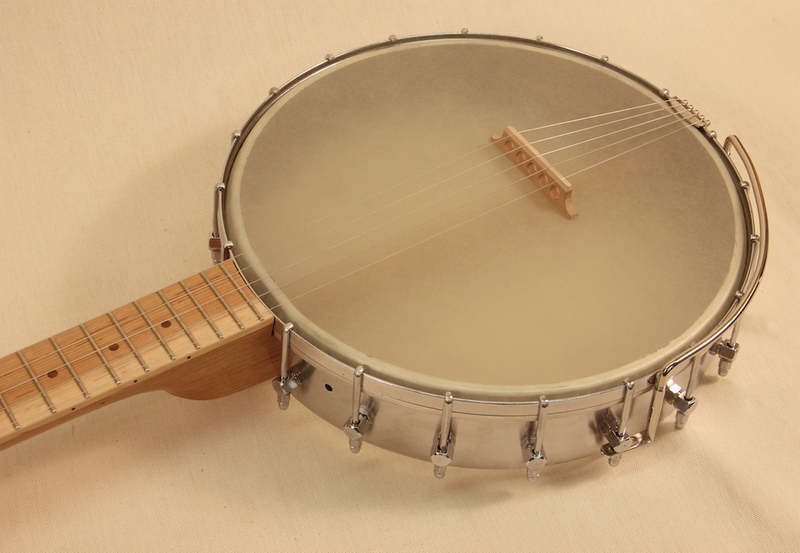 The rims make great sounding lightweight conversions for a handmade neck. 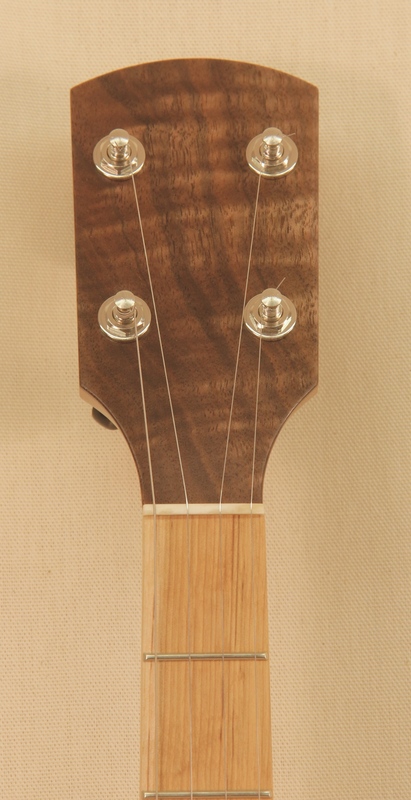 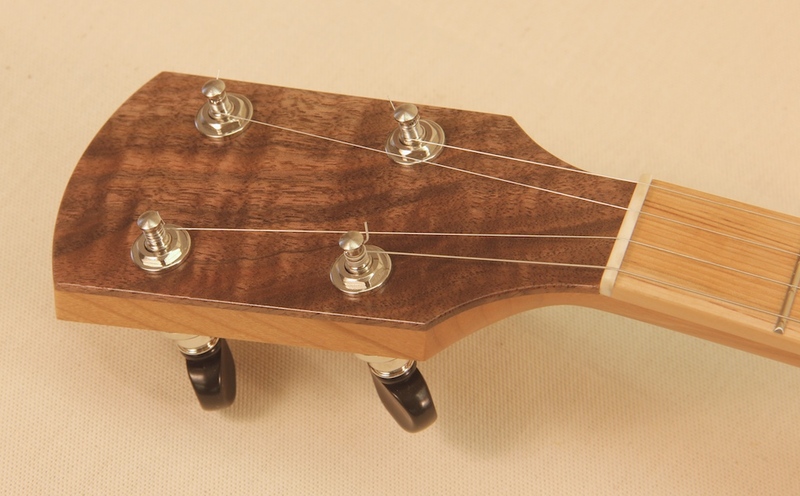 This banjo features a Cherry and Walnut neck with a curly Walnut peghead overlay and an Ironwood fingerboard with Walnut Inlays.